Location: Section 4, SW 1/4, T18N, R8W Kateel River Meridian (KRM). GPS Coordinates: N66° 59? 06?, W160° 25? 49?. Material: Based on an August 2012 site visit by the NANA Minerals Consultant, it was found that the remaining material at the Landfill Gravel Pit is composed primarily of silt and sand with very little construction-grade gravel. It is the aim of NANA to permanently close and reclaim the site. 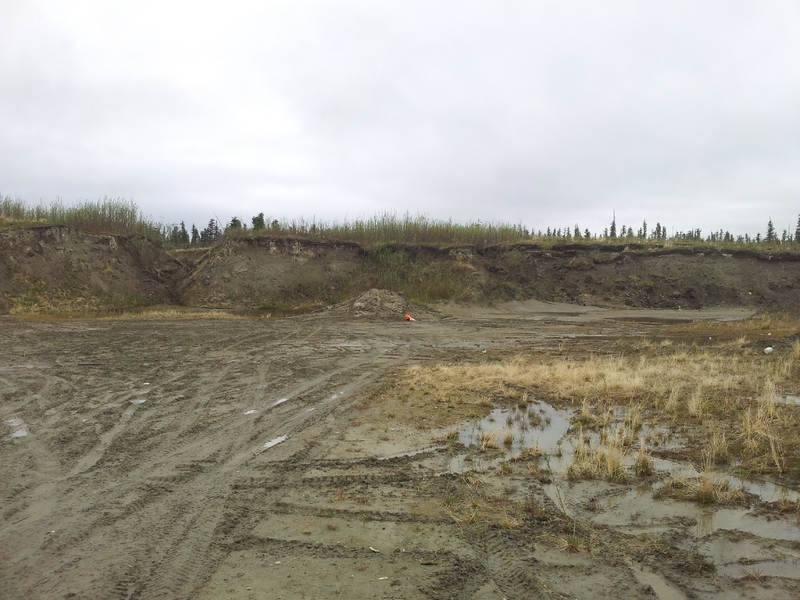 In 2011 the Alaska Department of Transportation & Public Works (ADOT&PF) identified a potential site as a source for gravel for an upcoming airport improvement project (see Useful Links for project information). The proposed site is located approximately 2.5 miles northwest of the community Landfill at Section 31, T19N, R8W KRM. A road will need to be constructed to access this site. This site is thought to contain construction-grade gravel.